The Warner Bros. 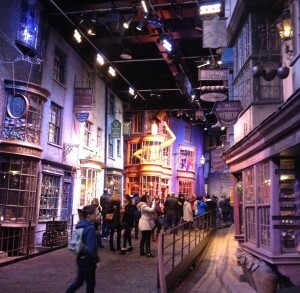 Studio Tour: The Making of Harry Potter is located in Leavesden, around 18 miles away from central London. 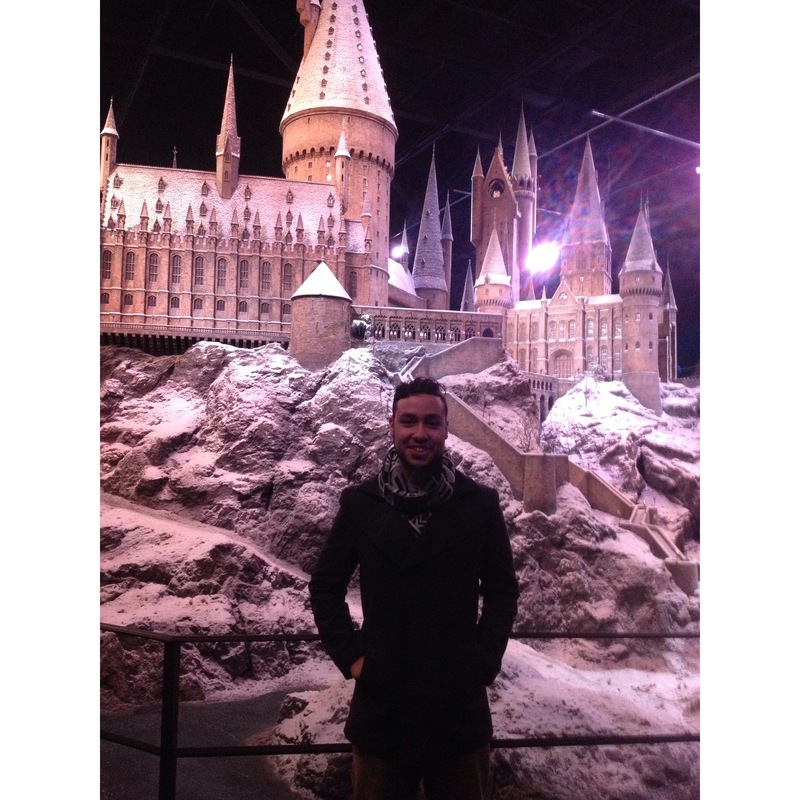 The Slytherin, Muggleborn- Potterhead that I am found it a necessity to make this pilgrimage. 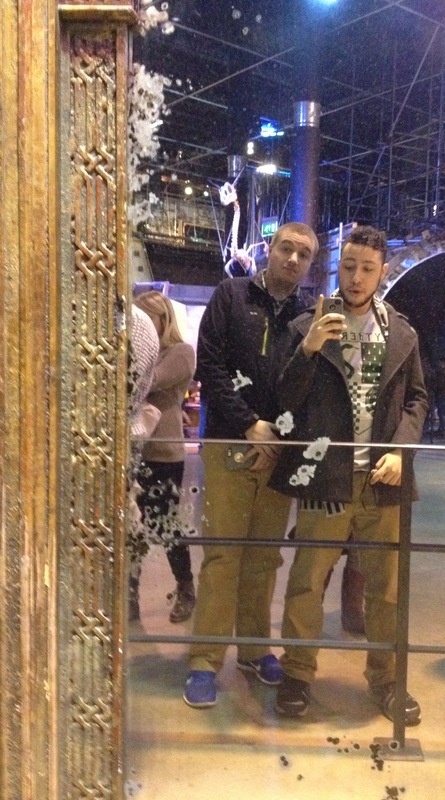 On Sunday February 1st, fellow Saint Rose student, Scott Carpenter, and I spent the day with other students on a full day Harry Potter themed excursion, organized by Regents. As soon as the studio was within distance, I saw the larger than life posters of the Potter logo, plastered on the building. This caused a minor heart palpitation. 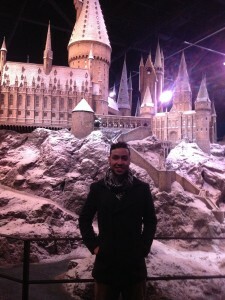 Lucky for us, we visited the studio on the last day of the “Hogwarts in the Snow” exhibition. In this, amazing set pieces from the films are given the traditional, winter touch. The main entrance of the tour is stocked with an array of decadently decorated Christmas trees. Score, familiar to the films, play pleasantly throughout the room. Canvases featuring characters such as Draco Malfoy, Ginny Weasley, Bellatrix Lestrange, and of course the iconic trio, are featured high on the walls. I felt as if I was in the Great Hall of Hogwarts. Little did I know, this would soon be the case. 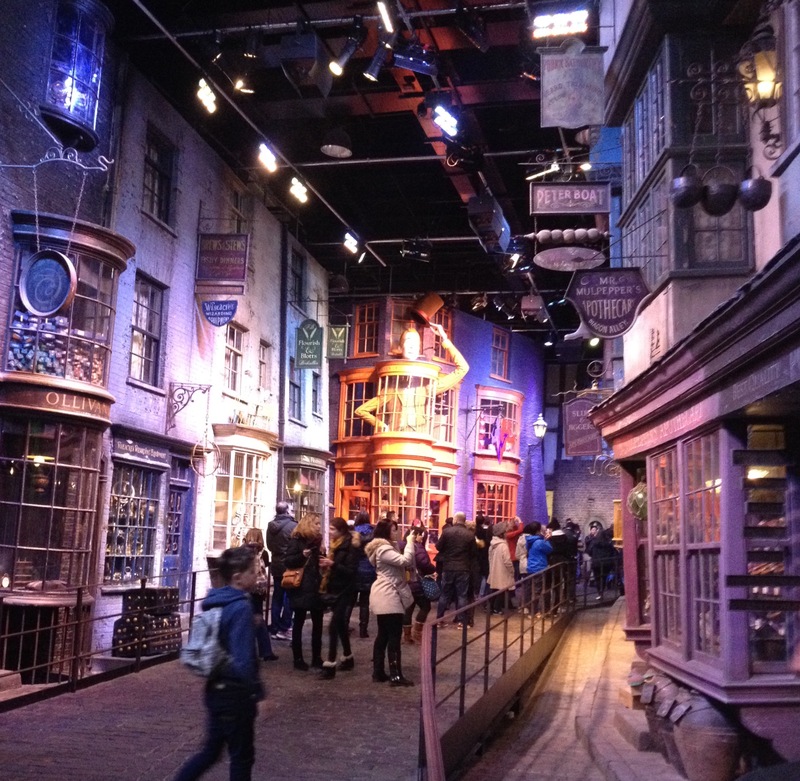 The tour featured brilliantly crafted sets, including the Great Hall, Olivander’s Wand Shop and Diagon Alley, to name a few. These sets were built for durability, which is why guests are allowed to walk through them. Other more delicate pieces such as Gryffindor common room, Hagrid’s hut, and Dumbledore’s office were roped off but viewable. Concept art, and sketches decorated the walls. Costumes that the actors wore, were put on display in life sized mannequins. This became quite extraordinary when looking at Hagrid’s size. Quotes from Rowling, the directors, producers and the rest of the film crew were scattered in different presentations with video. This showed the complexities behind makeup, design, CGI, blueprints and music, to name a few. A station showed guests how the production team made snow for the film. It turns out there are several different types, in which we all were allowed to touch and play with. Did you know the majority of winter scenes in the movies were filmed in June? After drinking butterbeer, I had almost forgotten about what was yet to come. 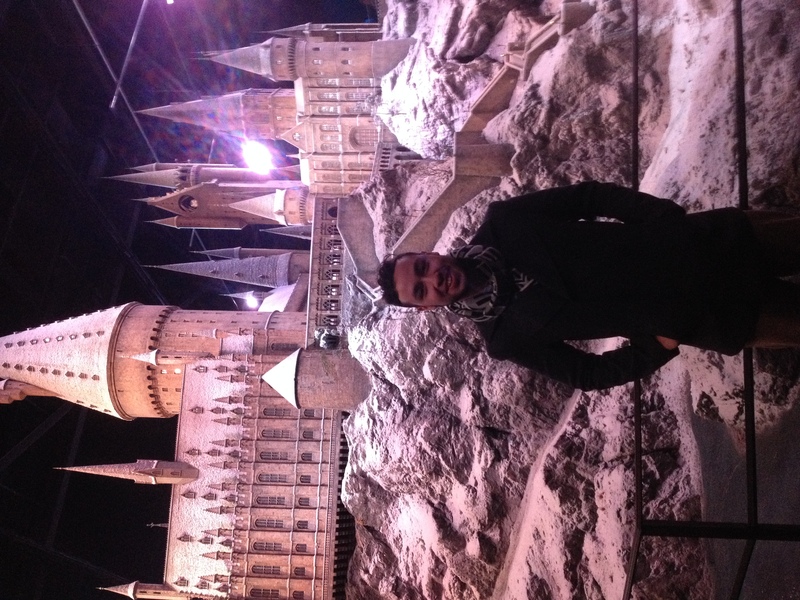 An enormous build of Hogwarts, covered in snow, stood proudly underneath the soft lighting. It was jaw-dropping, awe-inspiring, tantalizing and daunting, all in one. This was the epitome of my day, and perhaps of my time abroad thus far. The Potter books are the reason why I am such an avid reader today. The masterfully written writing and colorful world that Joanne Rowling has created is one I am eternally grateful for. Lastly, the end of the tour led to the massive gift shop. Any merchandise one could ever desire was made available. I spent about 70 pounds ( $105); but we won’t tell my parents about that. The day was amazing, ending in an all nighter, where my friends and I watched the Super Bowl. P.S : Happy 17th Birthday to my younger brother Danny! Love you bro. ← Long Time, No See! Brendan Peo, Here!